In this Part we will explore the meaning of the 32nd Shloka of Sri Vishnu Sahasranamam. With this edition we complete 300 Namas! We have already seen a similar Nama as this in Shloka 1 viz. ‘Bhoota-bhavya-bhavat-prabhuh’. We had explained the meaning of that Nama as Bhagawan is the Lord of the past, present and the future or as He is somebody who has complete control over time and who is timeless. 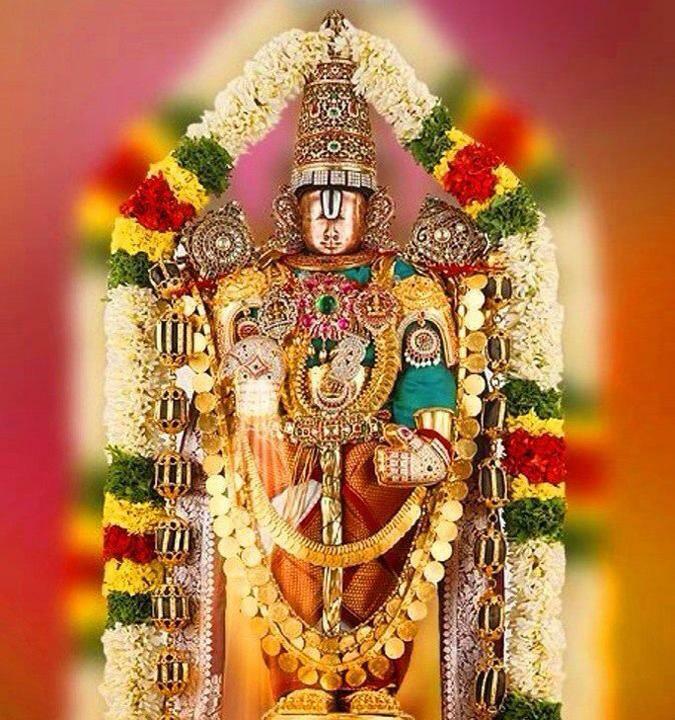 For the current Nama Sri Adi Sankara gives the interpretation ‘Bhootabhavyabhavataam bhootagraamaanaam Naathah, taih yaachyate taan upatapati teshaam eeshte shaasti iti vaa Bhoota-bhavya-bhavan-naathah meaning that He is Lord of all beings, past, present and future and He is worshipped by all, He controls and governs all’. Taken together the two Namas depict that Bhagavan is Timeless and He is the Lord of all beings at all times. There are two meanings for this Nama. The root word is ‘Pavi’ which can mean both ‘purify’ and ‘move about’. Sri Adi Sankara takes the first meaning ‘Pavate iti Pavanah meaning He purifies those who approach him’. Sri Parasara Bhattar gives the same phrase ‘Pavate iti Pavanah’ but in the sense of one who moves about. He moves about in all places at all times with no constraints. The wind’s ability to do this is but a fraction of His ability in this regard. Both give reference of Bhagavad Gita Chapter 10 Verse 31 which says ‘Pavanah Pavataam asmi’ which can mean either ‘Among those that purify I am the Wind or among those who move about I am the wind’. In either case the meaning implies Bhagavan’s identification with the Wind whether in the role of purification or in the role of moving around. Sri Satyadevo Vashishtha gives the meaning for this name as ‘One who is Pure’ and for the next name he gives the interpretation that in addition to His being Pure (Pavanah), He also purifies everything else (Paavanah). As in the previous NamaThere are 2 interpretations to this Nama. Sri Adi Sankara takes the view ‘Paavayati iti Paavanah – One who makes everybody move’. He gives the power to everything that moves. Taitriya Upanishad says ‘Bheesha asmaat vaatah pavate – Verily even the Wind moves out of fear for his order’. Sri Parasara Bhattar takes the view that Paavayati means the great purifier. He purifies anyone who interacts with him either by praying, worshipping, reciting his names or meditating on him. Meaning: Reciting Govinda’s name ensures internal and external purity. 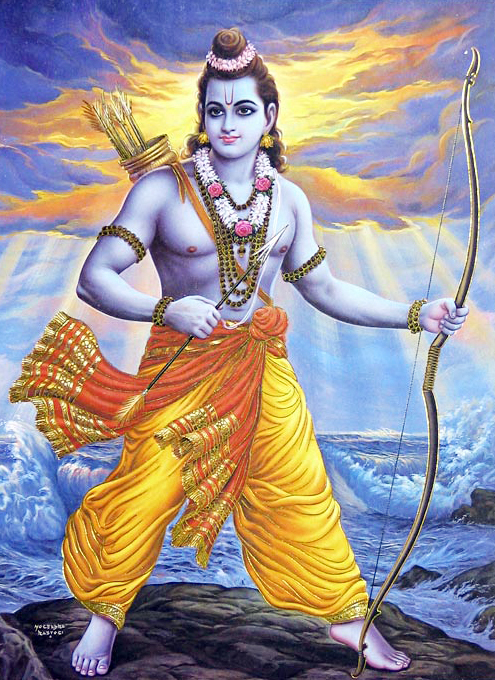 Meaning: Just by thinking of Rama all our sins of thought, speech and action are washed away. In the preliminary Shlokas of Vishnu Sahasranamam we have “Pavitraanaam pavitram yo mangalaanaam cha mangalam”, meaning He is the Purest of the pure, and the most auspicious among those that are auspicious. Before every ceremony we recite the mantra ‘Apavitrah pavitro vaa sarvaavasthaan gatopi vaa Yah smaret pundareekaaksham sa baahyaabhyaantaras shuchih’. Meaning: However impure or corrupt somebody might be, he becomes purified by thinking of the lotus eyed Vishnu. The word ‘Alam’ means ‘to be satisfied’ and ‘Analam’ is the condition of never being satisfied. As Sri Adi Sankara puts it ‘Na alam paryaaptam asya vidyate iti Analah – Not satisfied with anything for e.g. the fire because the more fuel it consumes the more it needs’. Bhagavan is literally symbolic of the fire. A certain amount of heat is necessary in the body for the body to continue alive. Since He is the fire that supports life in the body, He is called Anala. ‘Aham Vaishvaanaro bhootva Praaninaam Deham Aashritah – I am the fire called Vaishvaanara residing in each living being’. He is also the fire that will burn all our sins, so He is Analah in this sense as well. The other meaning is ‘Anaan praanaan Aatmatvena laati iti Jeevah Analah – He is called Analah because he is the Jeeva which firmly attaches to the living entity.’ This also concurs with the interpretation ‘Agandham Arasam – without a smell or a taste’. The insatiable nature of His Daya has been sung by Sri Desikar in DayaShatakam, where we find that no matter what great sins we commit, His Daya will consume (forgive) all those sins when we surrender to Him with devotion and sincerity. He will forgive all these if we commit the simple act of Saranagati to Him (Shlokam 29 of Daya Shatakam). Sri V.V. Ramanujan gives reference to Periya Tiruvandadhi – “un aDiyArkku en Seyvan enRE irutti nI” meaning “Always thinking about what You can do next for Your devotees”. After Yudhishtira lost the game of dice, he along with his four brothers and Draupadi went into exile to the forests. A few sages also accompanied the Pandavas in their exile. Yudhishtira talked to the sages and asked them to go back to the kingdom where they would be well looked after. However the sages refused because they felt that the Pandavas were righteous and accompanying them would be the right thing to do. Draupadi served the food to the Sages from the Akshaya Patra and to her surprise she saw that the more food she served, more was left over in the vessel. She always ate her supper last. After she had eaten, the Akshaya Patra became clean. Draupadi however washed the Akshaya Patra out of habit and stored it upside down for the next day. News of the Akshaya Patra reached Duryodhana who was extremely unhappy when he heard about it. One day, the sage Durvasa went to Duryodahana with his disciples. Sage Durvasa was known for his short temper, and cursing anyone who did not obey his commands or disrespected him. Duryodhana was so lavish in his hospitality that the sage was gratified, and told him to ask any boon. Duryodhana felt greatly relieved at having come so safely out of the ordeal and when the sage asked him to seek a boon, it occurred to him that here was an opportunity of letting loose the irritable sage on the Pandavas. He said, “You have blessed us, great sage, by accepting our hospitality. Our brothers are in the forest. Kindly deign to visit them also, so that they may likewise be honoured and happy.” He suggested for the visit a time when he knew that all the food prepared would have been eaten and none would be left for the unexpected guests. Duryodhana thought that there would be no way the Pandavas could properly feed sage Durvasas and his disciples. He thought the short tempered Sage would then curse the Pandavas. Just then Draupadi was resting after her food and after cleaning the sacred vessel, Akshayapatra. Draupadi welcomed the sage and after proper salutations inquired about their needs. Draupadi was at her wits end as there was nothing in her kitchen to offer to these pious guests! Unfortunately the vessel was already used for the day and washed clean. Now it would yield the food only next day. It was essential for her to make some arrangements as per the command of Durvasa lest his curse might prove disastrous for her and the Pandavas. To buy time, she requested the sage and his disciples to take a bath in the nearby river, and in the meantime she could prepare meals for them. The sage agreed and left for the river with his disciples. Reluctantly Draupadi did as she was asked. Stuck to the back of the vessel was a solitary grain of rice! Lord Krishna put that in His mouth and His hunger was satisfied! Then a miracle occurred. The Lord of Universe had eaten enough; and this was enough to satisfy the appetite of the whole world! Krishna seemed abundantly satisfied after eating his solitary grain of rice and called Bhima. He asked Bhima to go to the river, and intimate to the revered Sage Durvasa, that food was ready and waiting for them. Bhima, greatly puzzled, but full of faith in Krishna, hastened to the river where Sage Durvasa and his followers were refreshing themselves. On the bank of the river, Sage Durvasa and his disciples suddenly felt their stomachs were full! They had no appetite left even for a single grain of food. How could they now eat the meals prepared by Draupadi? Sage Durvasa knew what it was and he told Bhima, “We have come here after asking Yudhishtra to prepare food for us, but we feel well fed and full, and cannot eat anything more. Please ask Yudhishtra to forgive us.” Thus speaking Sage Durvasa and his disciples went away. 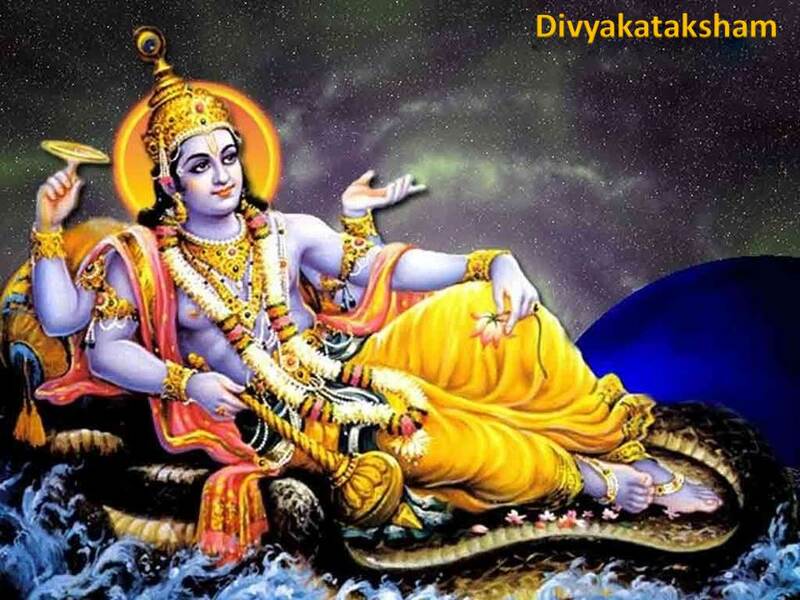 Thus the Lord shows his unrestrained Daya and comes to the rescue of HIS devotees. Kaama is desire for worldly objects and Haa is one who destroys. ‘Kaamaan hanti iti Kaamahaa – One who destroys the materialistic desires in the minds of his devotees’. While destroying the materialistic desires he fulfils the desire for liberation. As Swami ChinmayAnanda points out these two types of desires cannot coexist. The desire for external material objects and sensual gratification has to be annihilated before the spiritual desire can be fulfilled. When desire arises, there are two possibilities – either the desire is fulfilled, or it is not. If it is fulfilled, the result is the desire for more – greed. If it is not fulfilled, the outcome is anger and frustration. So for inner calm, desire needs to be destroyed, and it is only His Grace which can cause this to happen. Sri Satyadevo Vasishtha gives a very nice explanation for this Nama. Someone who has successfully climbed a huge mountain will not desire to conquer a small hill. Similarly one who has developed a deep desire for the ParamAtmA will not desire anything less or anything else. He is Kamaha in the sense that desire in HIM will automatically destroy the desire in lesser objects. Sri Adi Sankara gives two meanings. The first is ‘Saatvikaanaam kaamaan karoti iti Kaamakrit’ meaning ‘He creates noble desires in the minds of the devotees and also fulfils them; hence he is called Kaamakrit’. He creates the good desires, just as He destroys the undesirable desires (Kaamaha). 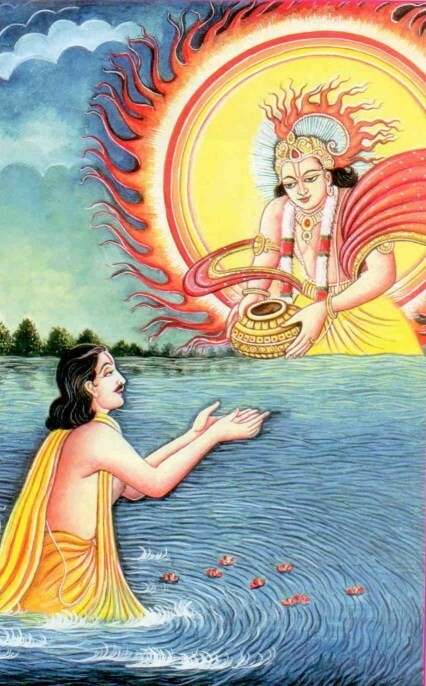 Sri Sankara gives an alternative meaning ‘Kaamah Pradyumnah tasya janakatvaad vaa Kaamakrit – He is the father of Pradyumna who is called Kaama’. Meaning: If there is anything worth having, you know it and you will give it on your own; what I get is entirely your will’. Sri Satyadevo Vasishtha gives the explanation – kAmAn karoti pUrayati iti kAma-krit – One who fulfils the desires. The only one who can ultimately fulfil the desires of anyone is the One who has everything i.e. 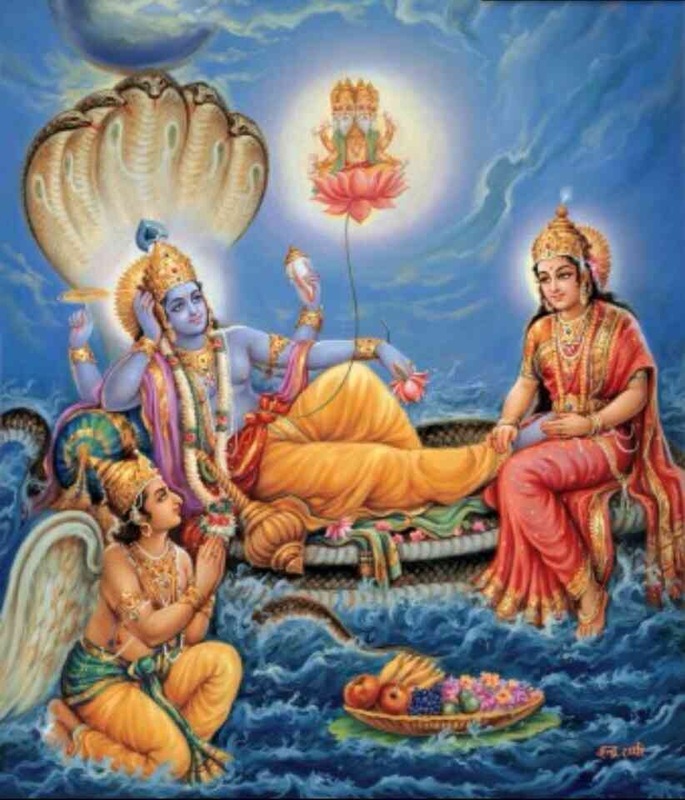 Vishnu the Kama-krit. 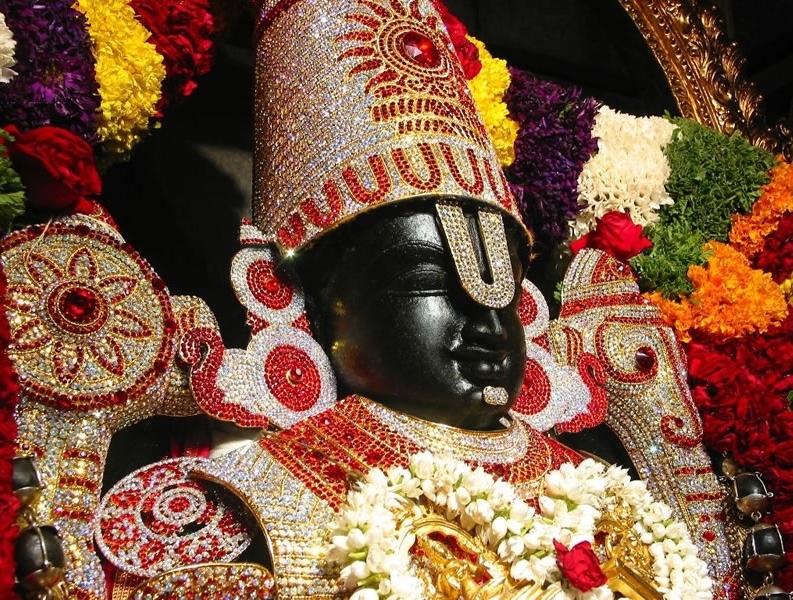 He also quotes Thirumangai Azhwar in this context – kulam tarum Selvam tandiDum, aDiyAr padDum tuyar Ayina ellAm nilam taram Seyyum nIL viSumbum aruLum aruLODu peru nilam aLikkum, nalam tarum Sollai nAn kaNDu konDEn nArAyaNA ennum nAmam. Meaning: He gives a good life, wealth and family, removes difficulties faced by his devotees. He grants the rule of the Sky and Earth with benign grace. HE gives a man strength, and all that there is, with love that exceeds a mother’s affection. I know the Mantra, Narayana is the Nama, that gives pure good and Moksham. Sri Adi Sankara says ‘’Abhiroopatamah kaantah meaning He is Kaantah because he is extraordinarily beautiful’. The Dharma Chakram writer describes the different kinds of attraction, involving the five senses, as well as the attraction involving thought and the one involving good behavior or character. Bhagavan is Kaantah because He is the One responsible for all the different types of attractions, and in addition He is also attractive in every one of these. Swami ChinmAyanada quotes from the Upanishadic passage ‘Shaantam Shivam Sundaram – Peace, Nobility and Beauty’ describing the very nature of the Self. Sri Adi Sankara gives the explanation ‘Kaankshyate Purushaarthaabhikaankshibhih iti – He is Kaamah because he is desired by those who are desirous of Moksha or liberation from this Samsara’. He is the means for those seeking Dharma, Artha, Kama or Moksha, and therefore He is the one who is sought after. 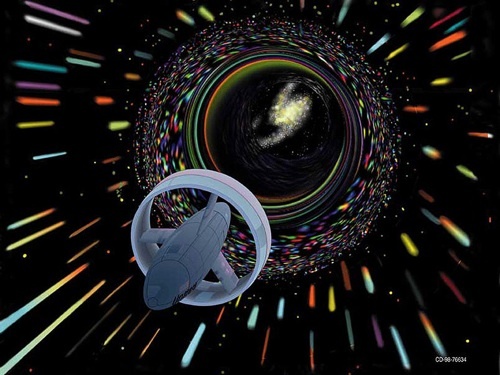 The Dharma Chakram writer points out that those who desire wealth or physical objects and are after sensuous attraction, lower themselves, whereas those who desire Bhagavan elevate themselves. 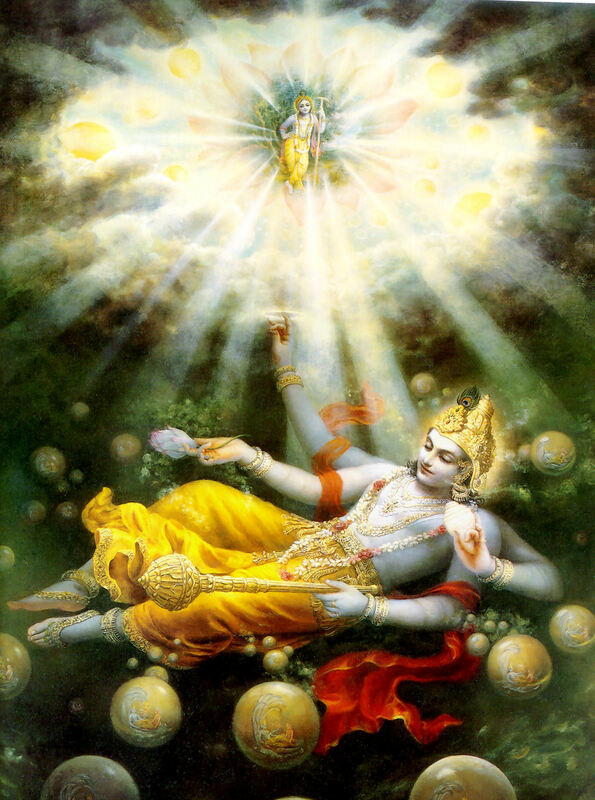 Those who desire the ultimate liberation know that the most desirable is Bhagavan Vishnu. Kama also refers to Manmatha (the Cupid), who is considered the god of desire. But Manmatha’s ability to be desirable is a fraction of Bhagavan’s. As Sri Adi Sankara puts it ‘Bhaktebhyah Kaamaan Prakarshena Dadaati iti Kamapradh – He is Kamapradah because he bestows on the devotees all their desires in abundant measure’. He grants the wishes of those who desire Him as well as those who are after trifles. For those who desire nothing other than Him, He fulfils their desire by being in their mind constantly. He makes Himself available in any form that is desired. In Katha Upanishad we have “eko bahUnAm yo vidadhAti kAmAn (2.5)” – The One who fulfils the desires of the many. 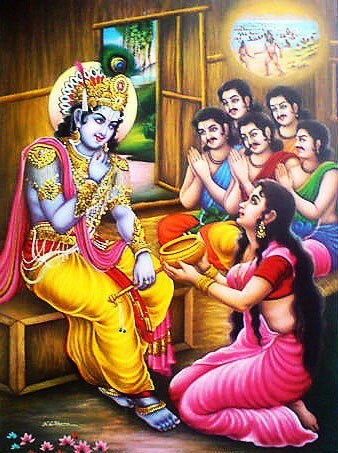 In the Bhagavad Gita Chapter 4 Verse 11 Krishna says ‘Ye yathaa maam prapadyante taams tathaiva bhajaamyaham meaning As they surrender Unto Me I give them according their wish or desire’. Clearly the wise Bhakta should desire to obtain Bhagavan rather than material objects. Sri Adi Sankara defines this as ‘Prakarshena bhavanaat Prabhuh – He is Prabhuh because he has extraordinary or amazing powers’. He is the one who surpasses all in everything. The Dharma Chakram writer gives examples of how Bhagavan surpasses all; by not slipping from the right path (Achyuta), by always having the indriyas under control (Hrishee-keshah), by establishing dharma over adharma in his various incarnations and by being the destroyer of the evil Asuras (Madhu-soodana, Keshi-soodana, Kamsa Chaanoora mardana, etc.). Sri Parasara Bhattar gives the vyAkhyAnam that He is prabhuh because He has the power to attract everyone’s mind towards Him through His extreme loveliness. Bhagawan is the Lord of the past, present and the future or as He is somebody who has complete control over time and who is timeless. HE purifies anyone who interacts with him either by praying, worshipping, reciting his names or meditating on him. He moves about in all places at all times with no constraints. HE is overflowing with Mercy and is never satisfied with the extent of His Daya or Mercy. HE destroys the materialistic desires in the minds of his devotees and He is also the one who creates desirable things. HE is charming, lovable and a grantor of all wishes. HE is Prabhuh because he has extraordinary or amazing powers’. HE surpasses all in everything. Thank you. I intend to publish it in book form in many languages eventually. Will surely seek your help for Kannada translation. God bless you! Hari Om!!! Hari Om Uncle! Very interesting read. I have no doubts today. 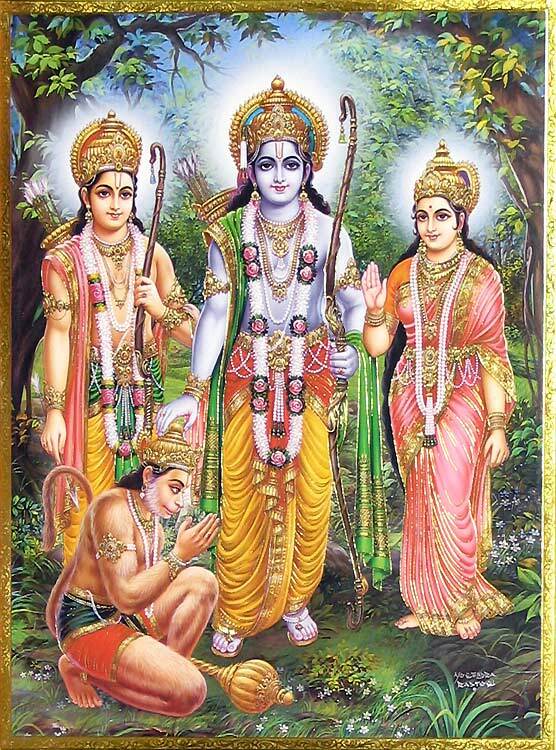 🙂 But I would like to wish you both a very Happy Sri Ramanavami!